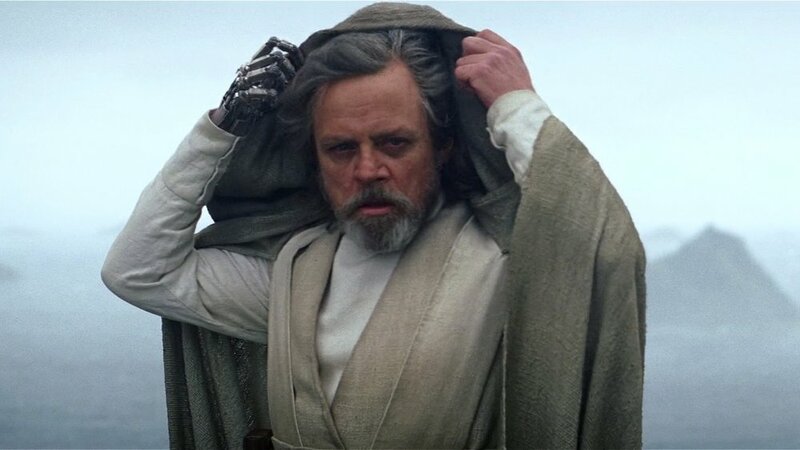 Obviously, one of the most exciting thing about Star Wars: The Last Jedi is the opportunity to see Luke Skywalker in action again for the first time in over 30 years. But we've been warned by the likes of Daisy Ridley and Rian Johnson that the Luke we meet in The Last Jedi may not be the same Luke we left in Return of the Jedi. Mark Hamill addressed this and more in a recent interview with The Associated Press, discussing how Luke has changed and addressing the loss of Carrie Fisher. Luke changed, I think, more than the other characters in the original trilogy, from callow farm boy to a Jedi in training to finally a Jedi master. What you're talking about is what really fascinated me. Between "Return of the Jedi" and "Force Awakens," there's just decades of history that's unknown. So I was wondering how they're going to handle all this. Now, obviously, with "Force Awakens," J.J. (Abrams) had a full plate. It was inevitable that they would push me down the line. I was sorry I wasn't able to work with any of the original actors again. But it's not about us anymore. In this new one, I was saying to Rian Johnson: I need to know my backstory. It was kind of unclear. You read where he is now and what he's doing now and sort of have to fill in the blanks for yourself. So I did do a backstory myself. It's not about Luke anymore, so it's not really important. But I had to make sense of it for myself. What Rian came up with, I was stunned. It's nice to see that Hamill has come up with a better way to describe how he felt when he first read Johnson's script than "I fundamentally disagree with everything you've done." After all the explaining he had to do about that one, it's no surprised he's changed the tells that story! She was irreplaceable. There can never be a proper reunion anymore. It's tragic. I hate that it adds an air of melancholy to the film because it doesn't deserve it. I know for a fact she would obviously want us to be having fun. She was all about laughter and enjoying the moment. We're all sort of having this communal period of grief. In a way, it sort of reflects the movies themselves, which were about triumphs and tragedies. They are about a family — a dysfunctional family, but a family nonetheless. You can read the entire interview with Hamill here.